G.P. Putnam's Sons, 9780425247891, 480pp. A block on the edge of the Minneapolis loop is being razed when a macabre discovery is made: two girls buried under a rotted old house. Lucas Davenport knows how long they’ve been there. In 1985, he was part of the manhunt to track down two kidnapped sisters. They were never found—until today. 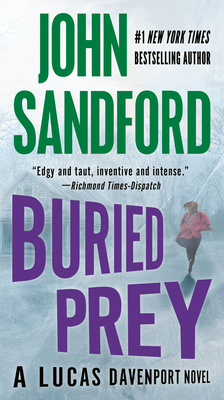 With the bodies discovered, Davenport has the chance to return to the crime that has haunted him for years. The deeper he probes, the more one thing becomes clear: It wasn't just the bodies that were buried. It was the truth.